Prototype X-01 Power Armor is one of the best Power Armor sets in Fallout 76. 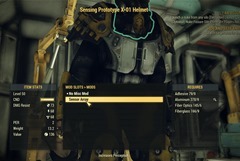 It offers superior Radiation and Energy resist compared to all other Power Armor sets. It is a crafted set and requires you to be on the last quest of the Enclave faction questline. 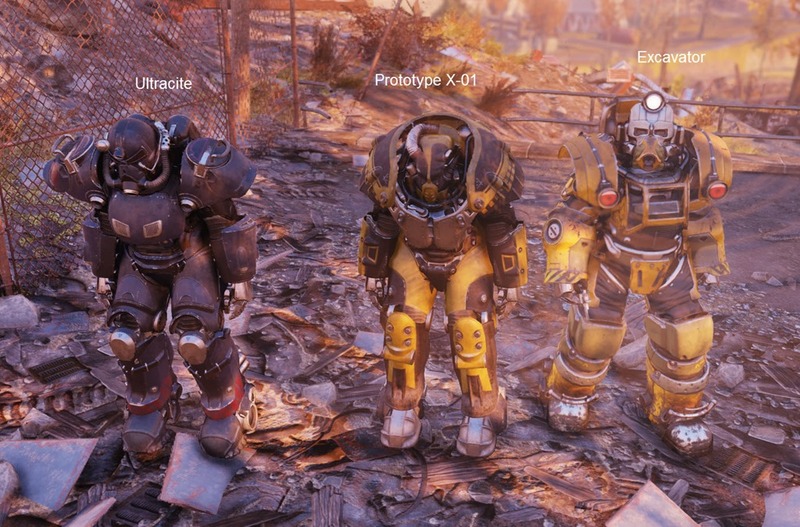 The other two sets worth mentioning are the Ulltracite Power Armor from the Brotherhood of Steel questline and Excavator Power Armor set from a quest in Ash Heap. 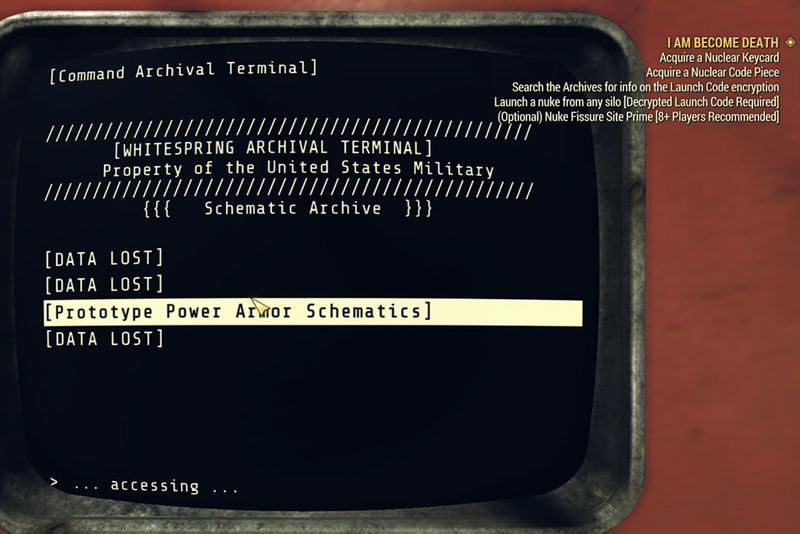 Ultracite Power Armor has identical Damage Resist but inferior Radiation/Energy Resist. The best way to get it currently is via the Brotherhood of Steel quest but you can get plans to drop from the Scorchbeast Queen raid boss. It is an easier armor set to get as you don’t need to craft it. Repairs however requires Ultracite which is currently found inside Glassed Cavern only. 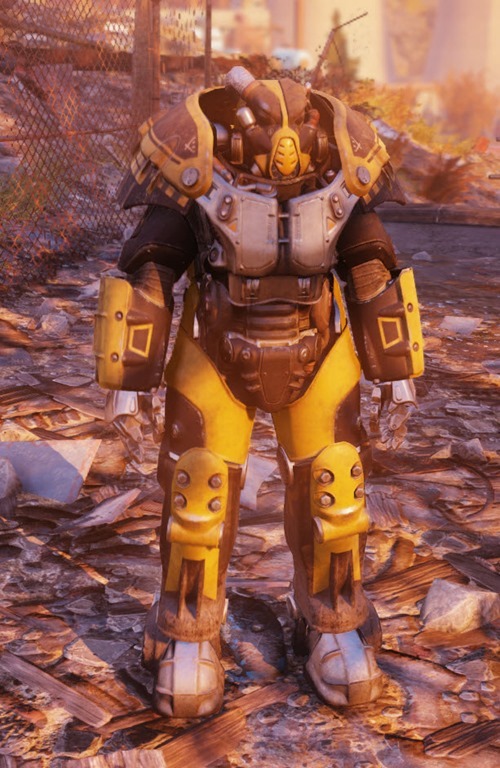 Excavator Power Armor gives +100 carry weight, making it a good traveling Power Armor – Available as Level 25, 35, and 45 crafted versions. It has inferior resists compared to the other two. A useful Perk card to have is the Intelligence card Batteries Included. At Rank 3 it will reduce the weight of Fusion Cores by 90%, making them weigh only 0.3 each instead of 3 each. This will help to ensure you don’t run out of Fusion Cores. If you are ever short on Fusion Cores, consider claiming workshops near Power Plants as they yield a ton of fully charged Fusion Cores. To get the schematics for the Prototype X-01 Power Armor in Fallout 76, you need to do the Enclave questline which is the final series of the quests for Fallout 76. 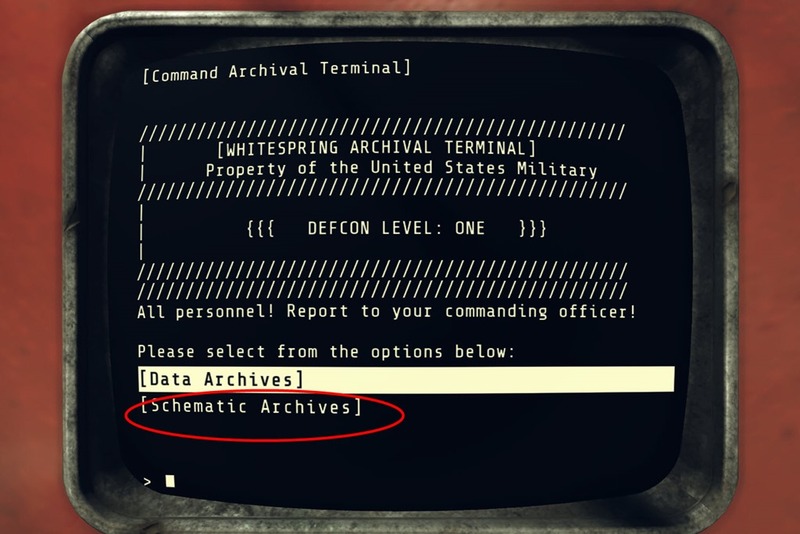 Specifically you need to be on the quest step I am Become Death and then read the Archival Terminal –> Schematics Data in the Enclave base. This will give you the entire schematics for the Prototype X-01 Power Armor set. 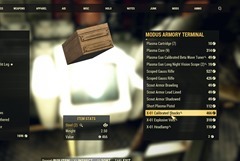 Then you can craft this set at any Power Armor workbench. You can craft either the Level 40 or the 50 version but it might be worth it to craft the Level 40 version as you are simply spending material on a set that will be replaced when you get to Level 50 which doesn’t take long from Level 40. 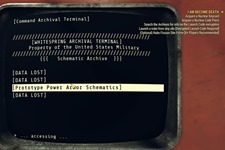 This is a perk card found under Intelligence category starting at Level 41, it is under useful to have as it reduces the cost of crafting the Prototype X-01 Power Armor significantly at rank 2, especially with materials such as Screws and Springs. Total: 60 Steel, 60 Aluminum, 60 Spring, 60 Screw, 50 Copper, 30 Gear, 36 Oil, 26 Rubber, 18 Silver, 12 Glass, 9 Circuitry, 6 Nuclear Material, 12 Black Titanium. 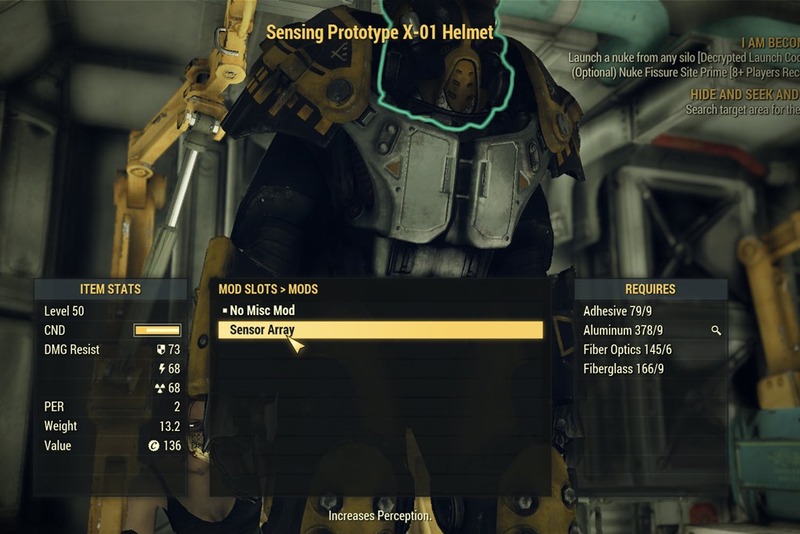 There are a two ways you can go about getting materials to craft the Prototype X-01 Power Armor set. 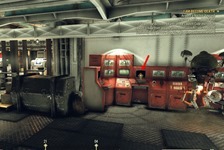 Scrapping junk – see this guide on the various junk you can scrap to get the resource you need. Sugar Grove especially is excellent for Springs/Screws. Some of the example mods available are as follows. 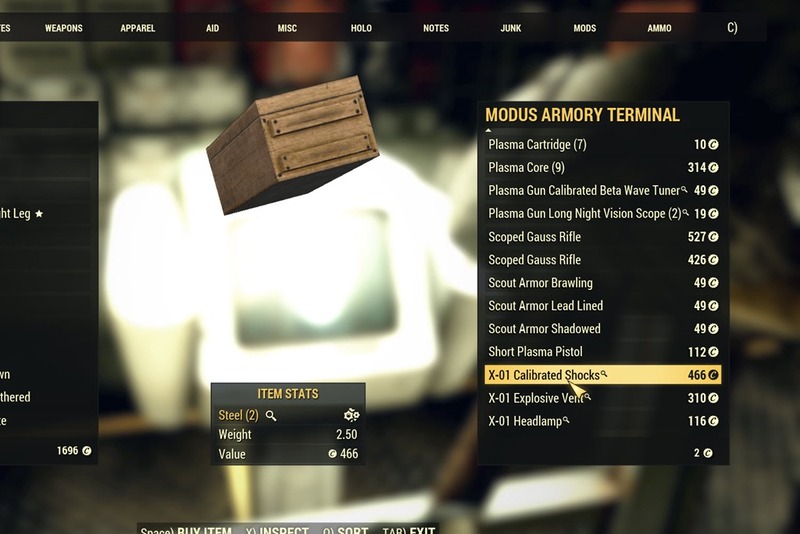 The best way to purchase mods from the armory is server hopping and try your luck. 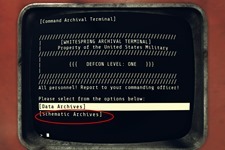 X-01 VATS Matrix Overlay (Helmet): Increases V.A.T.S. hit chance by 10%. X-01 Recon Sensors (Helmet): Sighted aiming marks enemies with a compass pip. 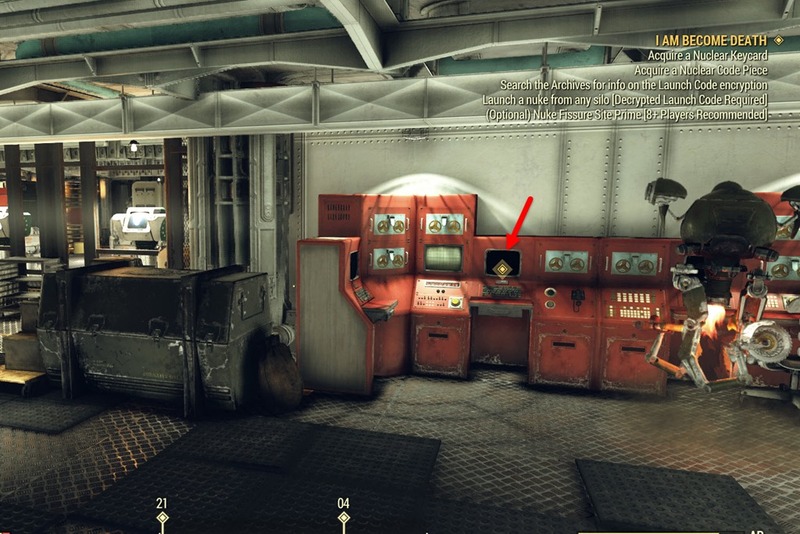 Once you have the mods, go a Power Armor workbench to install them on your X-01 Power Armor. 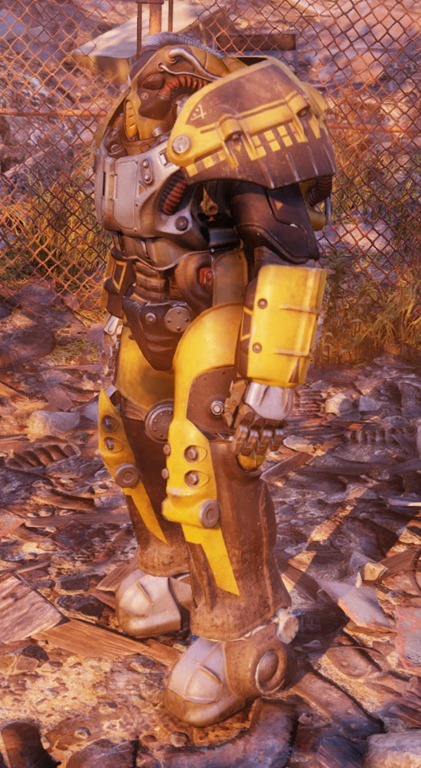 How do you change between the different level versions of the crafted power armor? You can’t, have to make a new piece. Dose anyone know if you can get tesla bracers for the X-01 or is it just Hydraulic Bracers? What about the reactive plates? Thanks for the guide. Awesome as ever! But I think you missed a “not” in the sentence “You can craft either the Level 40 or the 50 version but it might be worth it to craft the Level 40 version”, no? Because it is not really worth crafting it at level 40. Missing Optimized Servos, Core Assembly, Kinetic Dynamo and Stealth Boy. Have the explosive vents on but they aren’t doing anything for me, good thing I just got Calibrated Shocks. 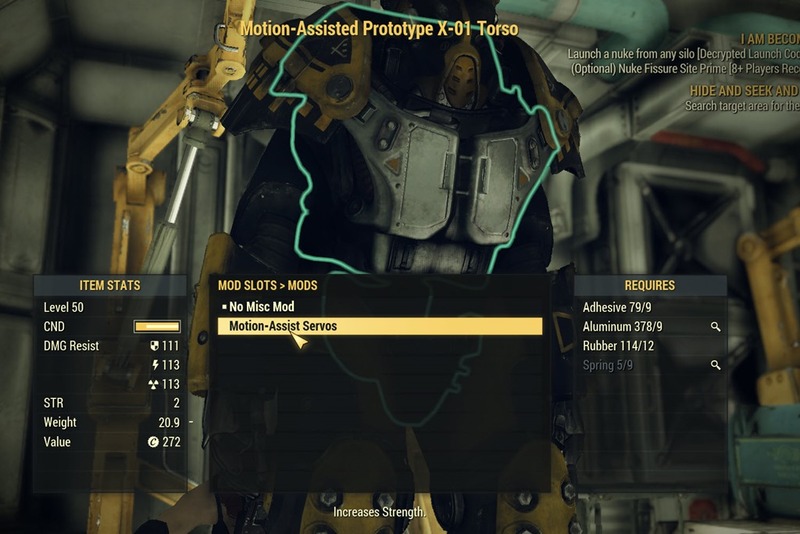 What exactly governs the level at which you can craft the power armor. I’ve got 14 intelligence and a level 3 power smith perk, but I’m still not getting the option for the level 50 variant. I have X-01 Calibrated Shocks (Legs): +50 carrying weight (very rare) and like to share them for the jetpack. You guys get them from the bunker armory or somewhere else? Did you trade it allready ? For the materials, i think you need to change the steel for power smith 2 from 60 to 68. I was bummed when I finally got the last piece of my X-01 crafted and found that there was no increase in carry weight. I guess I’ll just keep it as my portable shield and use the Excavator to fast travel when I’m loaded with loot. At least I won’t have to worry about those damn springs anymore! You can buy the palns for calibrated shocks from Chad, the robot vendor in Cambridge park. You can also buy them form the trading post in Grafton. (Not the RR station, but the trading post vendor). Excavator already gives you +100 carry weight. Adding calibrated shocks to each leg gives you +200. I love being able to carry everything!!!! Yeah, I found that Grafton vendor, now I just have to raid around until I get enough caps for the plans. Too bad I couldn’t find a reliable source for the Excavator mods instead. I ended up farming the Enclave bunker at Whitespring for my X-01 calibrated shock mods and jet pack. I got lucky because it only took a few hours of farming over 3 days. I’ve read that some had to jump servers over 300 times. Awesome guide! Are you planning on doing a guide on the Forest scout armor and mods? I can’t find any relevant information about them….